Can you break into the world's toughest computer systems? In Hacker, players sail through the Net, competing to invade the most systems. The more systems you crack, the more you learn, and the easier your next target is. You can find back doors and secret phone lines, and even crash the systems your rivals are using. But be careful. There's a Secret Service Raid waiting for you! 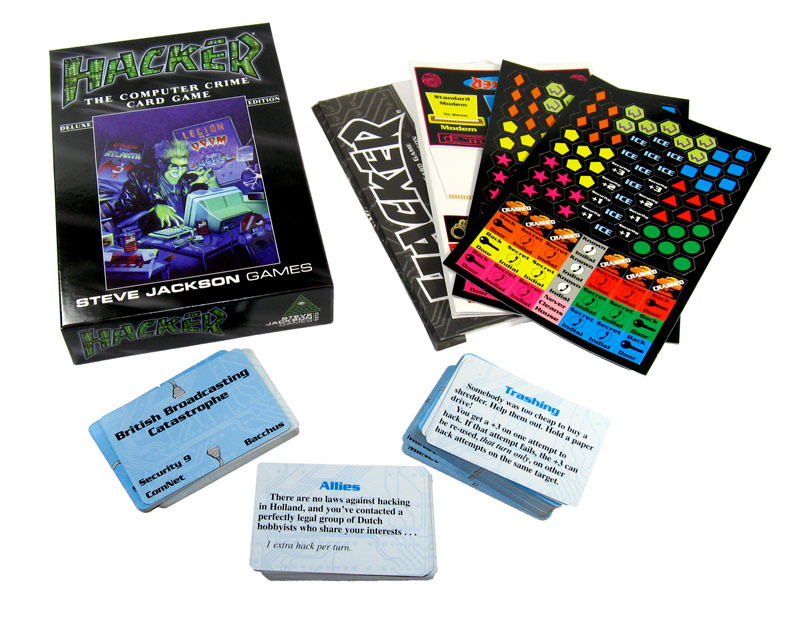 Designed by Steve Jackson, Hacker requires guile and diplomacy. To win, you must trade favors with your fellow hackers – and get more than you give away. But jealous rivals will try to bust you. Three busts and you're out of the game! The Deluxe Edition combines the original Hacker and Hacker II – The Dark Side in one edition with all-new components. 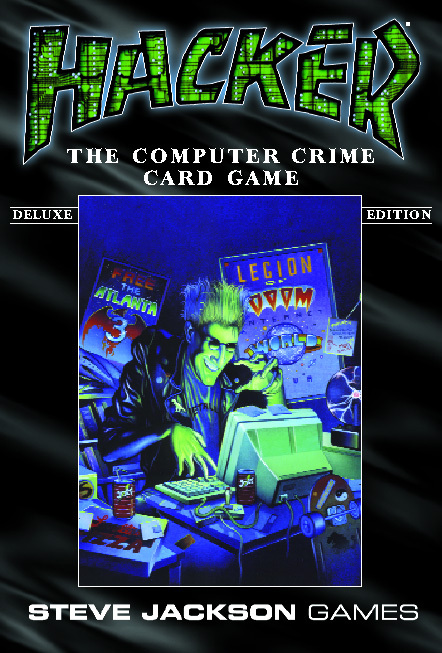 Hacker won the 1992 Origins Award for Best Modern-Day Boardgame . . . and Hacker II – The Dark Side won the same award the next year! Now both great games are back in one great package. See all of the components. Frequently Asked Questions for Hacker. Rules for Hacker in pdf format. For those who enjoy reading about the "hacker mystique", in the real sense of the word "hacker", Steve Jackson's review of The Hacker Dictionary. Discuss Hacker in the Steve Jackson Games Forums.